An analysis of the film ‘The Class’, from the perspective of critical pedagogy. I will be extending this article into a chapter for my PhD, where I will use data from interviews I conducted with participants of community media education activity to explore the notion of critical pedagogy further within this context. But for now, I hope you find this blog article interest. The film ‘The Class’, in a challenging way depicts a term in an urban French school, centred predominantly around the dynamics in the classroom of François Marlin the French teacher. The entire film balances on the power relations between the teacher and his students, and the tensions that surface when the power balance shifts in either direction. The line is blurred between what either side constitutes acceptable and respectful behaviour, with peer allegiances made at crucial moments when clear lines are drawn. At moments there is a seemingly equal dialogue between teacher and students. Diversions in planned lessons evolve when the students start to question assumed knowledge, accepted traditions and the ‘top down’ curriculum, and these debates are met with the teacher engaging in the dialogue and recognising the validity of some of the students points, even if this is reluctant concession. The students are uninhibited to apply reason to question hierarchies of cultural authority, such as the text book correct use of language, rightly arguing that no one actually uses such antiquated speech patterns in day to day life, and challenge the teacher to justify why they are being taught it. At moments such as these the teacher goes some way to defend the curriculum and cultural tradition, before meeting them half way to generally agree with them, but stating that they have to learn it anyway. This balance of rational cultural debate and its effect on the institutional entropy of the school threads throughout the film, with stark negotiations laid bare on how systems are maintained, what happens when systems falter, and how they are attempted to be patched up and repaired in the aftermath. It is the moments when reasoned debate breaks down and descends into emotional protectionism that creates a chain of events that leads to the main areas of dramatic tension in the film, which mostly centre around the strained relationship between François and Souleymane, a student with a bad reputation across the entire school. When Souleymane is teased by a female student (Esmerelda) when he refuses to do the work set by the teacher, Souleymane responds with a verbal assault that results in the teacher throwing him out of the class. This event happens not long after Souleymane had shown surprising interest in a self portrait project where he used photography after he had refused to write with stubborn reluctance. François embraced the student’s approach and pinned the work on the wall for the whole class to see. The look of embarrassed and fragile pride on Souleymane’s face was unmistakable. In a subsequent staff meeting, after Souleymane was ejected from the class, François at first tries to defend the student, but in the wave of public opinion amongst his peers he descends into conceding that he believes Souleymane has reached his academic limit and suggests there is no hope for him, failing to mention the promise he had shown in the self portrait project as even a glimmer of the student’s potential and a way to harness his interest. This denunciation of Souleymane is witnessed by Esmerelda, a student representative present in the meeting. Despite being enemies with Souleymane she tells him the happenings of the meeting demonstrating a solidarity of identity across institutional and cultural lines. The pain on François’s face is clear when he seals Souleymane’s fate with permanent exclusion, but he goes with crowd opinion in spite of personal feeling. When confronted by this back in the classroom by Souleymane himself, François tries to divert the argument away from his own guilt to accuse the motives of the student reps for divulging the information, resulting in him insulting them in a verbal slur arguably more shocking than Souleymane had done earlier, which led to him being ejected. Now faced with the knowledge that his teacher sees no hope in him, Souleymane’s reckless attempt at defending his own integrity and arguing against the teacher’s verbal assault on Esmerelda sees him create a situation where again there is no choice but for François to eject him again. In terms of the institutional line, this becomes the point of no return. For Paulo Freire (1972) it would be too easy to suggest that Souleymane is the sole oppressed individual in this situation. The entwined state of teacher institutional compliance and lack of student power or agency is described by Freire as the oppression they both share working/studying in the education system, which he describes as a “state of oppression that gratifies the oppressors.” (page 17). According to Freire, for the teacher to discover “himself to be an oppressor may cause considerable anguish, but it does not necessarily lead to solidarity with the oppressed [the student]. Rationalizing his guilt through paternalistic treatment of the oppressed, all the while holding them fast in a position of dependence, will not do. Solidarity requires that one enter into the situation of those with whom one is identifying; it is a radical posture.” (page 26). The banter François enjoys with the class in the early lessons is just that, a mere exchange of words and ideas that have no actually bearing on the power structures in the wider system. Like Johan Huizinga’s theory of the ‘magical circle’, which he describes as the boundaries of the rules of engagement when people play (1938), the classroom discussions were within the confines of the magic circle, where the dialogue appears to be democratic, but when the circle is broken the teacher is still dominant and the students passive and the system remains, swiftly repaired with the cultural patches of expectation and hierarchy. Throughout the film the boundaries of the magic circle are being tested, pushed and expanded, but ultimately nothing changes. Souleymane is never mentioned again and the system rebuilds its’ previous patterns of narrative like a well trodden tiled kitchen floor. The pattern doesn’t quite fit and something is not quite right, but it is still fully functional as a working floor, and will always remain so. The banter in the early lessons felt like a critical pedagogy where the students were questioning authority, where the teacher was slowly but surely coming on board with a “radical posture”, but that was just a smoke illusion. The weight of the institutional system remained the dominant paradigm through the existence of the ‘hidden curriculum’, described as the “set of values, attitudes [and] knowledge frames, which are embodied in the organisation and processes of schooling and which are implicitly conveyed to pupils.” (Jary 2005, page 267). 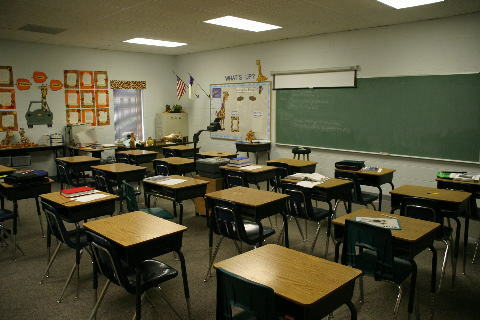 The hidden curriculum is considered to be more powerful than the actual content of subjects taught in school, and “promotes social control and an acceptance of the school’s, and hence society’s, authority structure.” The national curriculum teaches students about literacy, numeracy and science, etc, but the hidden curriculum instils in students the importance of listening to elders, of obeying orders, of respecting authority, and of the values of manners and the need to work within existing systems in society. Actions that are contrary to the dominant norms of the hidden curriculum are considered renegade, dangerous and subversive. Such behaviour must be either contained and controlled, like François, or eradicated from the (micro) system, like Souleymane. I’ll leave this question hanging, just as the film left the audience, with the scene of the empty classroom. Full of possibilities, full of hope and idealism, but also full of tension and frustration. If there is anything that this film teaches me, it is that educators must hold onto the possibilities of hope and idealism, and use the tension and frustration to fuel and stimulate challenging and non-patronising learning experiences. That is one step towards the teacher-student / student-teacher relationship, where both are forced to think for themselves and question themselves, before they attempt to think for and question other people.